Sturdy, handy and convenient, the Emerson A100-SFS Serrated Tactical Folding Knife is an excellent choice for an EDC with a tactical build. 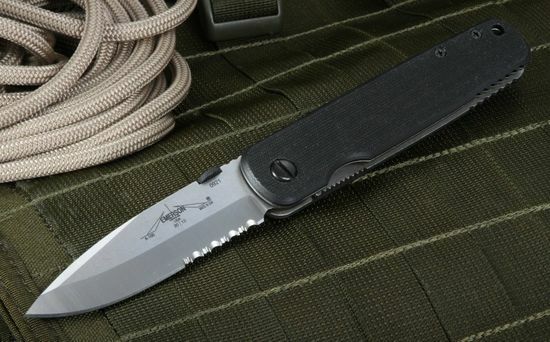 The A100-SFS has a stainless steel 3.5" inch blade with a satin finish and partial serrations. 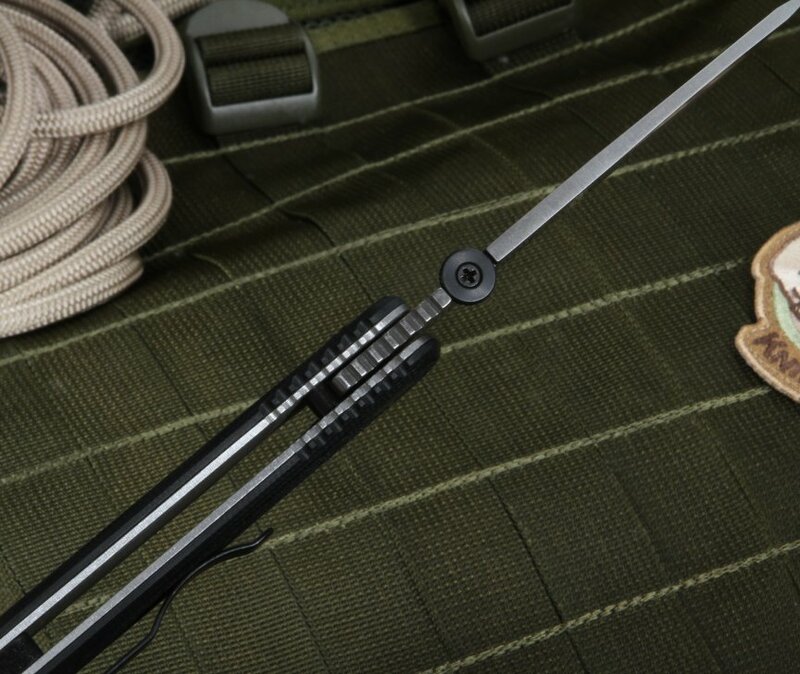 The serrations provide a good cutting surface for rope or webbing. This Emerson folding knife opens easily with its thumb disc feature with either the right or left hand. The blade has been ground very meticulously on both sides so the edge is supremely sharp. The textured black G-10 handle has a lanyard hole, and there is a filed thumb rest that helps you grip the Emerson A100-SFS with even greater confidence. The total size of the knife is 8.5" inches, and it's 4" inches when closed. 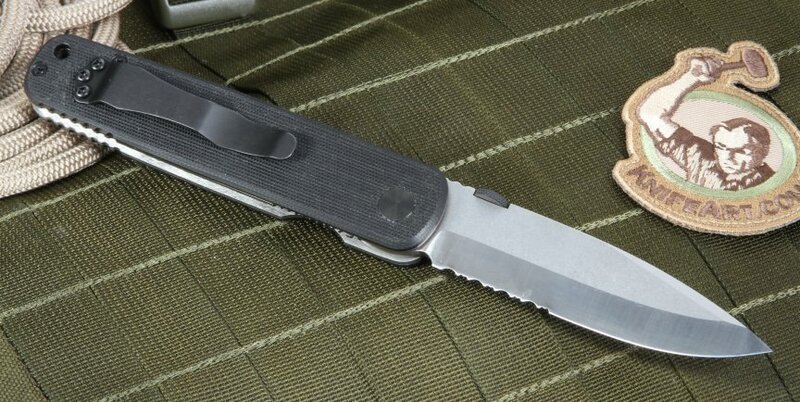 This 4.8-ounce tactical folder is shipped free the same day your order is received by KnifeArt.com. Satisfaction is guaranteed.